I figured that blue would be an easy color to match. I have 2 bindings for quilts that are both blue, but different shades. 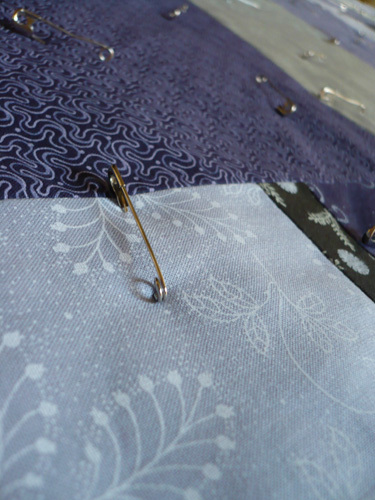 I took samples of the binding into the quilt shop with me to find thread to match. I don’t think I’ve ever had such a difficult time matching thread. There were so many blues, but none that were perfect. Instead of hunting for the perfect match at multiple quilt shops, I picked those that matched the best. 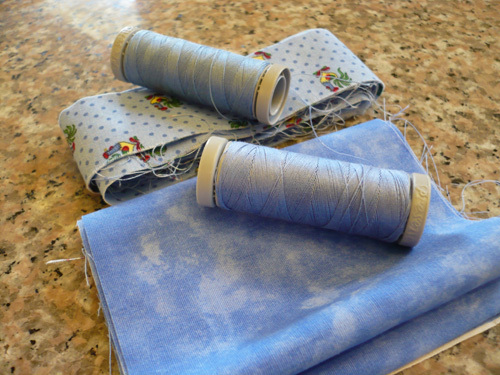 I seriously never thought finding the right color blue thread would be so hard!